Want to try something new this holiday? Better set your mind on going to this trek. This will allow you to experience the thrill of trekking with minimal physical stress. Bumdra Overnight Trek is an easy. 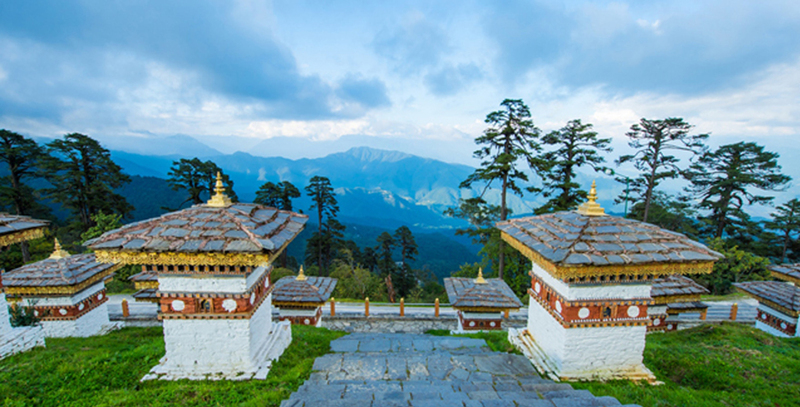 The short trek coupled with sightseeing in some of the most famous monuments in Bhutan. Bharal Adventure Pvt. 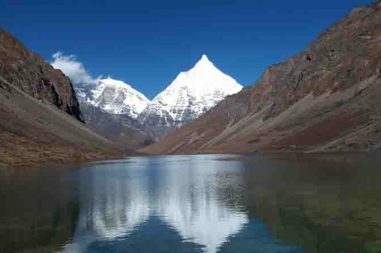 Ltd. offers the magnificent itinerary as well as the logistics support to make this easy trek the luxurious travelling. 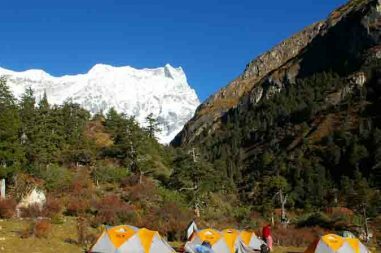 This trip of seven days only has two days for trekking making it an ideal option for the beginners to experience the thrill of trekking before they start it up as their holiday custom. The Bumdra Overnight Trek allows you to experience the stay in a luxury hotel in the major cities of Bhutan, leisurely stroll in the market areas, trek to the more isolated area in Bhutan accompanied by the ponies carrying your load and witnessing the mesmerizing view of first ray of golden sun kissing the mountains. Witness the marvelous Bhutan in the luxurious way. The hustle and bustle of the city is forgotten once you arrive at the peaceful and tranquil environment of the Bumdra Monastery adorned with the prayer flags fluttering with the wind. What is more amazing is that you could hang your own prayer flag around the monastery if your desire so! Witness the tranquility and the serenity in the amazing trip of the Bhutan wonders via Bumdra Overnight Trek. Bharal Adventure and its strong connection with the Bhutanese people as well as the representatives of Bhutan make your trip the memorable experience. You will have the enchanting journey of tiny dragon Kingdom. Witness the majestic Bhutan with us. Once you arrive at Paro airport, you will be received by one of our representatives who will take you to Thimphu in a private car that will take about an hour long drive. After arrival, you will check into your hotel and take rest and freshen up. Then in the afternoon, a visit to Memorial Chorten built in the memory of late 3rd king and drive to Buddha viewpoint for visiting the largest Buddha statue in the world will be arranged. You can either choose to relax at your hotel room or explore the city in the evening. We will begin the exploration of the city after completing our leisurely breakfast. First, we will visit Changgangkha Lhakhang then we will go to Takin’s mini zoo followed by painting school, national library, folk heritage museum, textile museum and handmade paper factory. In the evening, a visit to Tashichho Dzong, a fortress housing the throne room of His Majesty the King and the summer residence for Central Monk Body will be arranged. The drive to Paro will begin after breakfast. We shall check into a hotel upon our arrival at Paro and relax for some time. 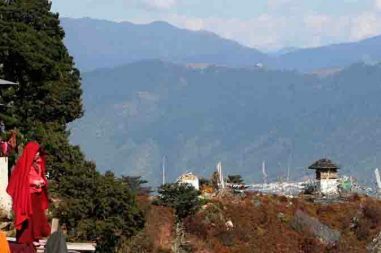 In the afternoon, we will be visiting National Museum that provides a rich history of Bhutan exhibited in the 17th century. The Paro Dzong, a massive fortress built in the 17th century now houses the monastic body. A lovely stroll downhill from the Dzong over an old cantilever bridge will be a pleasant way to wrap up the day. After having an early morning breakfast, we will take a drive to Sang Choekhor to take our ponies. We might visit the temple here as our ponies are being loaded. The initial climb through thick alpine forest takes about three hours to reach the base of old temple. As we complete the last 20 minutes climb through ruins and fluttering prayer flags we then commence traversing through ancient forest for about another 40 minutes after which we come out onto a high wide meadow dotted with sacred chortens and prayer flags. We will stay under Bumdra Monastery (cave of a thousand prayers) to enjoy the most beautiful views of the Himalayan range. We might also visit the monastery and climb the peak to the north (about 4000m) if time permits. We head straight back in the valley or perhaps hang our own prayer flags around the monastery after having a hearty breakfast. We then walk back into the ancient pine and rhododendron forest on the monk’s zigzagging trail. We can catch the first glimpse of the golden roofs of temples below as we descent a couple of hours. Following the trail snaking across the mountainside between the monasteries and temples, we reach the gardens of Zhangtopelri (Heaven on Earth) from where we can look over edge and straight down onto the ornate roofs of Taksang in the cliff far below. An hour long walk further takes us to the gates of Taksang that looks across the gorge from where a steep descent to a waterfall will bring us to another ascent on steps from where we pass into the Tiger’s Nest. We retrace our steps as we begin the final descent of about 45 minutes to reach our vehicle and drive to our hotel where we will stay for the night. The visit to the temples of Dzongdrakha commences after breakfast. We drive to Haa over the Chelela Pass that stands at the height of 3,988m. On a clear day, we can catch the glimpse of the most scared mountain in the country, Mt. Jomolhari (7,314m). We then visit the peaceful and timeless valley of Haa where we will enjoy our packed lunch for picnic and mark the end of our weeklong tour in the dragon kingdom. After breakfast, we will drive you to the airport for your final flight out of this mesmerizing kingdom of dragon hoping to see you again on your next holiday. Visa arrangement and US$ 40 per person (Single entry visa fee).